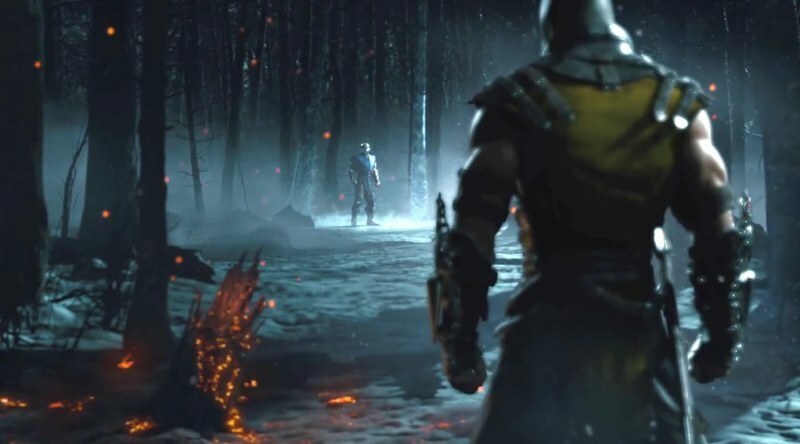 Ed Boon and team from Netherrealm just released a new teaser trailer for the next Mortal Kombat game in the series… and it’s glorious. How this trailer ends is just awesome. Who better to face off in this reveal than Sub Zero and Scorpion? The fights are just great. It seems that the fighting engine will still be similar to the previous Mortal Kombat game. The moves look similar although more fluid (Assuming this will be on next gen platforms). There also seems to be a a bit more environmental interactions like Sub Zero grabbing a loose branch and freezing it to act like a sword. Or how he also swings from a branch and does a spinning jackknife kick. They also kept the awesome announcer from all the previous games which sounds great. And then the fatalities. The fatalities. Whoo. This one just blew me away. Hope they can keep it up and make original ones but at the same time, quirky and fun for all characters. It kind of doesn’t matter which platform this comes out for, I will still play it regardless. It’s official, people can start getting excited about Mortal Kombat again! Thank you Ed Boon.